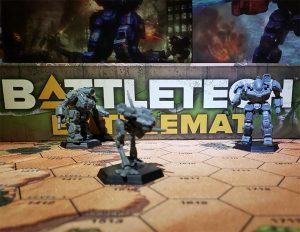 This article is about the early Lyran Commonwealth BattleMech. For other uses, see Ymir (disambiguation). 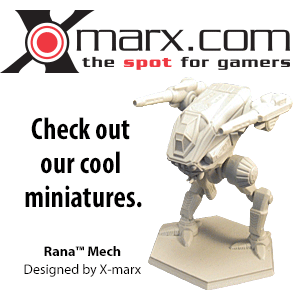 The Ymir was the Lyran Commonwealth's first homegrown BattleMech. The first primitive machines, then known as the Bipedal Weapons Platform, saw action in 2462. Named for the frost giants of Scandinavian mythology, the Ymir was developed by Coventry Defense Conglomerate by taking the basic frame of the Mackie, shaving ten tons from it and them modifying it to form a sleeker design, that offered greater stability and the ability to maneuver more easily. CDC chose to further differentiate the Ymir from its predecessor by giving it a more angled appearance and distributing the weapons load more evenly. With a weapons load designed to enable it to switch between engaging at long range and short range, the BWO-1X Ymir was, on paper, a capable machine; however, it was no faster than the Mackie and its prototype heat dissipation system meant that it frequently ran hot. The Lyran High Command elected not to buy the design, preferring to stick with the Mackie, but did offer enough support to CDC to enable them to build a handful of the earliest Ymir model as prototype testbeds, allowing CDC to continue development work. CDC struggled along until more advanced components enabled them to increase the 'Mech's top speed to 64 km/h and protect it with ten and a half tons of armor. Coventry eventually produced upgraded versions of the Ymir in 2475 (-2B) and 2478 (-2E). These variants of the Ymir remained in production well into the Star League era, halting in 2648. During the chaos of the Jihad, as demands for war materiel of any kind increased, modern manufacturers began to retool production lines to produce what became known as RetroTech designs. These designs included BattleMechs like the Ymir, based on the Primitive Technology of the Age of War. One such company was Osaka Heavy Metrics, a Draconis Combine IndustrialMech manufacturer, who converted their existing lines to produce the Ymir among other RetroTech designs from their factories on Togura and Philadelphia. Production of the Ymir would continue until the Jihad wound down, at which point the manufacturing lines were retooled for other work. The advanced materials allowed engineers to improve upon the prototype Ymir's weaponry as well. At long range, the assault 'Mech can call upon an Arcturan Arms Longarm Series Autocannon/5 and two CDC Single-Five LRM-5 launchers. As it gets closer to an enemy, the Ymir can add an Accufire Optics Large Laser. At close range, four Coventry B4 SRM-2 launchers and an Accufire Mini Small Laser can exploit any holes the larger guns made in an enemy's armor. The original Ymir, the X1 prototype could only reach 53 km/h due to its primitive engine. The cockpit and armor were also both primitive, but the design mounted fifteen and a half tons of armor in total. Mounting sixteen heat sinks, the X1 was equipped with two LRM-5s in the right torso,a large laser in the right arm and an AC/5 in the left arm for long-range work. Four SRm-2s were mounted in the left torso for short range work - the designers believing that multiple small systems would be easier to maintain and adapt than larger systems - along with two vehicle flamers mounted in the right hand arm. The vehicle flamers were chosen for the design because of concerns about the safety of taking plasma directly from the reactor, although protecting and shielding the flamers caused problems. BV (2.0)= 1,212 The X1 uses several Design Quirks: Obsolete (2480), Poor Cooling Jacket (Large Laser), Poor Cooling Jacket (Flamers) and Stable. ↑ 1.00 1.01 1.02 1.03 1.04 1.05 1.06 1.07 1.08 1.09 1.10 1.11 1.12 1.13 1.14 1.15 1.16 1.17 1.18 1.19 1.20 Technical Readout: 3075, pp. 280-281, "BWP-2B Ymir"
↑ 5.0 5.1 5.2 Experimental Technical Readout: Primitives, Volume 5, p. 8, "BWP-X1 Ymir"
↑ Technical Readout: 3085 Supplemental, p. 34, "SKU-197 Sokuryou SurveyMech"
This page was last edited on 11 January 2019, at 23:29.